The latest release of SYSPRO, which is industry-built to address the needs of manufacturers and distributors, leverages Industry 4.0 automation and data exchange capabilities to support the Internet of Things, cloud computing, and cognitive computing. 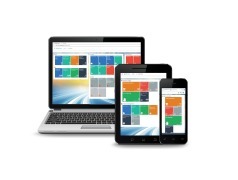 SYSPRO’s new release specifically allows manufacturers to connect their current factory equipment seamlessly to the traditional shop floor and other ERP technologies already in use. It works contextually and collaboratively within the SYSPRO ERP business solution. Syspro 7 is an even more friendly to use, intuitive ERP software. This new version drastically improved handling of high transaction environments while simplifying its interface to handle more with more flexibility. It is customizable to achieve an enhanced user experience. Works on any mobile device and desktop and has an app store so users can share and collaborate.